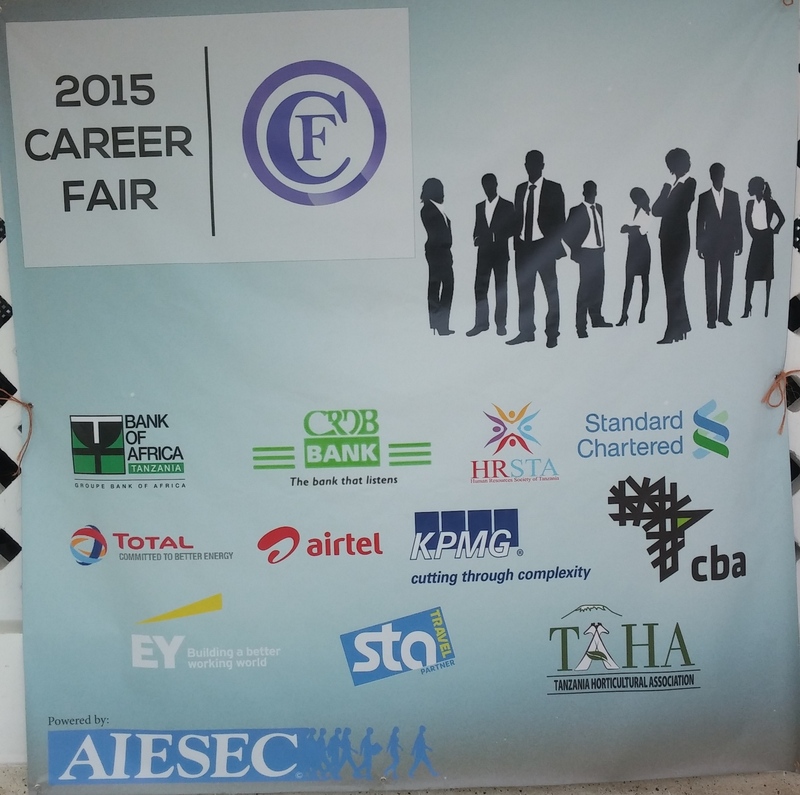 Once again we had the pleasure of being a part of the exciting AIESEC Career Fair organized at the University of Dar es Salaam. It is through such initiatives that various companies are able to share their knowledge of the professional environment in Tanzania in order to prepare newly graduating students for life in the workforce. It was truly amazing to witness so many committed students on a weekend, willing to learn and take interest in the entire event. Thank you to AIESEC UDSM for wonderful organization, great music and inspiring thoughts. We would like to thank our co-sponsors including Bank of Africa, CRDB, Standard Chartered, HRSTA, Total, Airtel, KPMG, CBA, EY and the Tanzania Horticultural Association for their commitment to the empowerment of today's students and tomorrow's leaders.